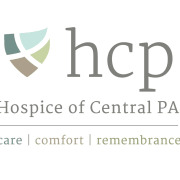 Hospice volunteers perform important and rewarding work, no matter where or how they choose to serve. Our patients and their families benefit from the time and one-on-one attention that our supportive volunteers provide. In partnership with the "We Honor Vets" campaign, we are striving to provide a program focused on respectful inquiry, compassionate listening and grateful acknowledgement. By recognizing the unique needs of America's veterans and their families, community providers, in partnership with Veteran's Affairs staff, will learn how to accompany and guide them through their life stories towards a more peaceful ending. Veteran-to-Veteran volunteers are trained not only as patient support hospice volunteers, who know the needs at the end of life, but they also receive further education on our veterans unique needs at the end of life. Veteran-to-Veteran volunteers can provide companionship to a fellow veteran, play cards or a board game, provide support through active listening or even accompany a fellow veteran to lunch.